Sure, coffee gets your heart rate going, but making coffee can be a relaxing experience. — Gloria Chadwick, the author of Zen Coffee: A Guide to Mindful Meditation. Look, none of us drinks coffee for any other reason than that we like the stuff. Still, it's nice when it turns out that coffee is also good for you. According to scientists at the Stanford University School of Medicine, drinking coffee may help protect older people against inflammation, which is what ultimately causes many age-related diseases, such as diabetes, hypertension, joint problems, Alzheimer’s and many types of cancer. Better yet, the Stanford docs say the more caffeine the oldsters drank, the more protection they received against chronic inflammation. You may remember from social studies class that it was the Dutch who first brought coffee to Europe in quantity. But did you also know of the pivotal role Amsterdam played in coffee’s circulation not just on the Continent but around the world? I only learned this once I was living a bike ride away from what turns out is the plant’s historical hotbed: Hortus Botanicus, the botanical garden of the Dutch capital. Drink your coffee with cream and sugar? Diet problem! Research suggests that people who add sugar, cream and/or milk to their coffee don't just end up drinking a bunch of empty calories -- they may also end up eating worse than people who drink plain black coffee. Tea drinkers who adulterate their drink face similar problems, albeit to a lesser extent. Incidentally, if you have to add cream and sugar to your coffee, it's time to get a better coffee maker. Or at the very least, try a different brand of coffee. You know how they drink espresso in Italy? You see everyone and his brother rush into their favorite coffee spot, order their morning brew, and drink it right there at the bar. Single, doppio, a second cup... whatever. Then they rush off to work. Well, Al Ponte is like that. The kiosk is right next to a ferry ('pont' in Dutch) landing. Yep, a funny play-on-words. Along with excellent coffee. There are a few techniques that can immediately improve the quality of your coffee, no matter how fancy (or basic) your coffee machine is. Even a drip coffee maker can brew a cup with an artisan flavor. Suddenly, the British, who have always denied any facility with foreign languages, find it quite easy to get their tongues around cappuccino, latte and espresso. Brewed in a metal pot called a finjan, the drink -- tiny cups of muddy, petrol-black liquid -- was bracing but smooth. No wonder Turkish coffee is ubiquitous throughout Israel, as it is in many Middle Eastern countries. Good news, as always: People who consume multiple cups of caffeinated or decaffeinated coffee are 15% less likely to suffer premature death, according to a study done by Harvard University’s School of Public Health. Harvard scientists polled more than 200,000 people for up to 28 years and also found that non-smokers who drank three to five cups of coffee were 37% less likely to die from a neurodegenerative disease like Parkinson’s, and 36% less likely to die from suicide, compared to non-java drinkers. Researchers from the University of Valencia analyzed over 100 coffees sold in Spain and found many tested positive for mycotoxins -- a toxic metabolite produced by mold. "Ingesting or inhaling too much of the metabolites can lead to mycotoxicosis, where the toxins enter the blood stream and lymphatic system and can cause a wide range of gastrointestinal, dermatological, and neurologic symptoms—including, in the most severe cases, death." Many workers at a Texas coffee roasting plant are thought to have lung disease tied to two dangerous chemicals: diacetyl and 2,3-pentanedione — which are formed when coffee is roasted and are released in higher concentrations when it is ground. Looks weird, but is easy to use. Quite possibly the best coffee you've ever tasted. Has fooled experts into thinking the brew came from a super expensive espresso maker. Will make any kind and strength of coffee you wish. Swiss Water says it uses a chemical-free process to strip the beans of their stimulative nature, resulting in a brew that "tastes so good you don't miss the caffeine." But will you get a discount because something that should be there is missing? Would you buy canned hot coffee? Supposedly big in Japan, and now introduced in the US: cans of piping hot coffee. The label acts like an insulator. To heat the coffee, you need to buy a 'Hot Box' which -- after 90 minutes -- has the coffee at 140 degrees Fahrenheit. No thanks. This Arabica coffee liquid concentrate in a pocket-sized squeezable bottle is said to taste "like an American filter coffee." And they say that as if that's a good thing. Madame Lionel Philidor has been farming coffee since about 1991, the year she married her husband. Even though they both worked hard to produce good coffee, they didn't make a good income from it. Middlemen with unfair pricing often saw more of the profits from their hard work than they ever did. That's why Lionel decided, in 2005, to join the St. Helene de Carice cooperative. The cooperative provided support and power in numbers against unfair pricing. A wonderful story of how Lutheran World Relief, an international humanitarian organization that works to improve the lives of smallholder farmers and people experiencing poverty -- such as these coffee growers in Haiti. The El Nino-related drought is driving farmers to despair. There has been little to no rain for six months, and forecasters say the drought will continue for at least another five months. The current harvest of some of the world's best coffee is about to be lost. Sebastiao Salgado's latest photo book, "The Scent of a Dream: Travels in the World of Coffee," was done in collaboration with Italian coffee brand Illy and resulted from a common passion and value for sustainable development. Vietnam is currently the world’s leading exporter of robusta coffee, and rivals Brazil in coffee production. But a worldwide coffee glut means farmers are not getting enough money for their crops. Therefore they are now hoarding their beans until they can get paid more for their work. Until a few years ago Brasil -- the world's biggest coffee producer -- dispatched nearly all its exports in jute bags. But the jute bag is rapidly being edged out as traders and cooperatives face rising wage bills and borrowing costs, weak global prices and a deepening economic crisis at home. 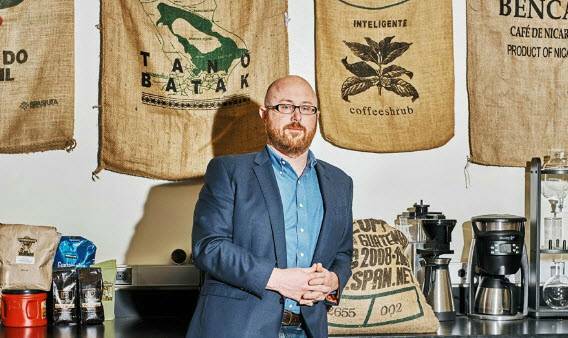 By introducing massive plastic sacks to replace the 60-kg (132-lb) jute bags that have dominated coffee shipments for more than two centuries, firms are saving millions of dollars a year, in a move so successful it is expected to reshape the global industry. Next year will see Brazil export more than half its green coffee in 1-tonne polypropylene 'super sacks' or 21.6-tonne polyethylene liners. “Starbucks is peddling the worst coffee at the highest prices…” the London Times reported in 2008. Not much has changed since then. Swiss Water is a Canadian coffee company that uses a patented water-based decaffeination method to remove 99.9% of caffeine from coffee beans. The company pioneered the water-based decaffeination process in 1933 that removes 99.9 percent of the caffeine without -- the company claims -- altering the taste of the beans. Other methods to make coffee beans caffeine-free rely on chemicals, which remove some of the beans’ natural components and alter the taste. When the company opened a pop-up store in Soho last week -- serving only decaf coffee (gasp!) -- Caffeine lovers responded by predicting the end of the world. So true! Even if you brew wonderful coffee at home, it's great to go to a place "where everybody knows your name." As the author says, "Coffee shops offer a sense of community. A place where I'm known. A place where I'm safe and never alone." Oh, and I am glad to hear she "no longer prefers Starbucks." You go, girl! Says Wired, "It’s one more way Starbucks hopes to get coffee drinkers in the door. And yes, the craving for caffeine helps. As it turns out, our phones are the other socially acceptable addiction these days. And Starbucks has figured out how to get both to work in its favor." As for us... we can't figure out why people continue to be enamored by overpriced, bad coffee. If God did not want coffee to contain caffeine, he would have left it out. Even the Swiss Water Coffee Studio can't get it all out: it says its coffee is 99.9 percent caffeine-free. Mint is such a fresh, refreshing ingredient that I tend to associate it with summer drinks. But mint also brings thoughts of Christmas, and of long winter evenings by the open fire. Enjoy! Coffee on its own is great, but hey... there's something to be said for Irish Coffee. The key? Use 'ridiculously expensive' heavy cream. So popular that many restaurants and hotels serve their coffee this way -- right at your table. One of the quickest and most effective ways to brew an intensely satisfying cup of coffee. Brewing proper coffee (what some people refer to as "restaurant-quality coffee") at home is not difficult at all. ✔ Use cold, good-tasting water. If your tap does not deliver it, use filtered or bottled water. ✔ Use good quality beans, and grind them when you need them. Ground coffee rapidly loses flavor. ✔ Use a burr grinder in order to preserve the most flavor. ✔ Grind your coffee coarse or fine depending on which brewing method you use. ✔ Regardless of what method you use to brew your coffee, make sure the equipment is clean. ✔ Use the proper coffee-to-water ratio. Generally, use two level tablespoons of ground coffee to every 6 ounces of water. ✔ The water you use should be between 195 to 205 degrees Fahrenheit. Normally, it is best to bring it to a boil, and wait till it is just off the boil before you pour it over the grounds. ✔ Don't use a drip coffee maker. 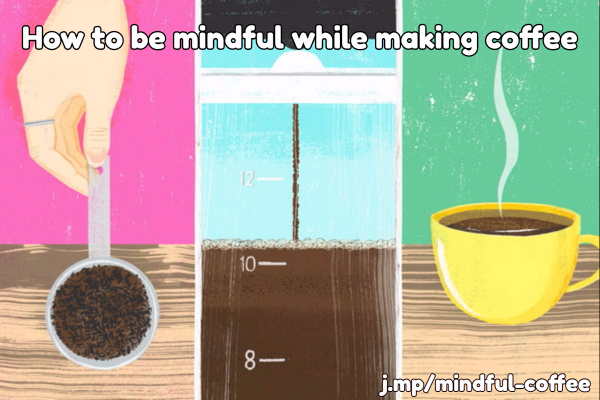 Use a French Press, an Aeropress, or a pour-over coffee maker instead.